NBC has given a 13-episode series commitment order to an untitled comedy from Parks and Recreation and Brooklyn Nine-Nine executive producer Michael Schur, one of the most respected and talented writer-showrunners in television today. Details are being kept as top secret for now. Stay tuned for more. NBC also announced another comedy project. Emmy Award winners and producing partners Tina Fey and Robert Carlock are returning to NBC with a pilot production order for an untitled comedy written by Emmy winner Tracey Wigfield. The Fey-Carlock project centers on a mother-daughter relationship that is challenged when an overly involved New Jersey mom gets an internship at her daughter's workplace, a cable news network. Stay with us for continued updates on this one as well. For the week of August 17-21, 2015, we have many current sitcom stars and past sitcom stars on TV talk shows! All times listed are Eastern. So get your DVRs (or whatever you use) ready! Ready? Here is all what you need to know for the coming week! Angela Kinsey (Your Family or Mine/The Hotwives/The Office) - Catch Angela on Watch What Happens: Live at 11pm on Bravo. Lake Bell (Wet Hot American Summer: First Day of Camp/How to Make It in America) - Watch Lake on The Late Late Show with James Corden at 12:37am on CBS. She will also be on Access Hollywood Live, so check your local listings. Jeff Garlin (The Goldbergs/Curb Your Enthusiasm) - Jeff appears on a repeat of Comedy Central's The Daily Show with Jon Stewart at 11pm. Becki Newton (Weird Loners/The Goodwin Games/How I Met Your Mother) - Becki appears on a repeat of Last Call with Carson Daly at 1:35am on NBC. Jessica St. Clair (Playing House/Best Friends Forever/In the Motherhood) and Lennon Parham (Playing House/Best Friends Forever/Accidentally on Purpose) - Jessica and Lennon are guests on @midnight on Comedy Central at midnight. Jane Lynch (Angel from Hell) - Jane guest co-hosts LIVE! with Kelly and Michael, so check your listings. Bette Midler (Bette) - Bette is a guest on a repeat of The Ellen DeGeneres Show, so check your local listings. Mo'Nique (The Parkers) - Mo'Nique opens up about why she believes she was blackballed by Hollywood after her Oscar win and more on a repeat of The Meredith Vieira Show, so check your local listings. Simon Helberg (The Big Bang Theory) - Simon is a guest on a repeat of The Queen Latifah Show, so check your local listings. Connie Britton (Spin City/The Fighting Fitzgeralds/Lost at Home) - Connie chats on a repeat of The Talk on CBS at 2pm ET/1pm CT-PT. Dawn Wells (Gilligan's Island) - Dawn discusses her career and makes a recipe from her new cookbook on Home & Family on Hallmark Channel at 10am ET/PT. Dana Delany (The Comedians) - Dana talks about Hand of God on NBC's Today in the 10am hour. Wilmer Valderrama (That '70s Show) - Wilmer talks about his latest projects From Dusk Till Dawn and Minority Report on Access Hollywood Live, so check your local listings. Tony Hale (Veep/Arrested Development) - Tony is a guest on Larry King Now at 2/5pm PT/ET on Ora.tv and Hulu. Lisa Kudrow (The Comeback/Web Therapy/Friends) - Catch Lisa on Conan at 11pm on TBS. Michael Rapaport (The War at Home) - Michael appears on a repeat of Watch What Happens: Live at 11pm on Bravo. David Alan Grier (The Carmichael Show/Life with Bonnie/DAG) - David is a guest on @midnight on Comedy Central at midnight. Patrick Stewart (Blunt Talk) - Patrick stops by The Late Late Show with James Corden at 12:37am on CBS. Ana Gasteyer (Suburgatory) - Ana guest co-hosts LIVE! with Kelly and Michael, so check your listings. Jennifer Aniston (Friends) - Jennifer appears on a repeat of The Ellen DeGeneres Show, so check your local listings. Jim Gaffigan (The Jim Gaffigan Show/My Boys/Welcome to New York) - Jim discusses his new comedy series on a repeat of The Talk on CBS at 2pm ET/1pm CT-PT. Jim Parsons (The Big Bang Theory) - Jim chats with the ladies of The View on a repeat on ABC at 11am ET/10am CT-PT. Ana Ortiz (A.U.S.A.) - Ana and Roselyn Sanchez join the Chew Crew on a repeat of ABC's The Chew at 1pm ET/12pm PT/CT. Paul Scheer (The League/Fresh Off the Boat/The Hotwives of Las Vegas) and Rob Huebel (The Hotwives of Las Vegas) - Paul and Rob are guests NBC's Today in the 9am hour and on the AOL Build Show. Niecy Nash (The Soul Man/Reno 911!) - Niecy guest co-hosts Access Hollywood Live, so check your local listings. Anna Chlumsky (Veep) - Anna is a guest on Access Hollywood Live, so check your local listings. Queen Latifah (Living Single) - Watch Queen Latifah on Jimmy Kimmel Live! at 11:35pm on ABC. Keegan-Michael Key (Playing House/Gary Unmarried) - Keegan-Michael visits Late Night with Seth Meyers at 12:36am on NBC. Tony Hale (Veep/Arrested Development) - Tony appears on Late Night with Seth Meyers at 12:36am on NBC. Natasha Leggero (Another Period/Free Agents) - Natasha drops by The Late Late Show with James Corden at 12:37am on CBS. Peter Facinelli (Nurse Jackie) - Peter appears on a repeat of Last Call with Carson Daly at 1:35am on NBC. Maz Jobrani (Better Off Ted/The Knights of Prosperity) - Maz will be on a repeat of Last Call with Carson Daly at 1:35am on NBC. Jemaine Clement (Flight of the Conchords) - Jemaine is a guest on @midnight on Comedy Central at midnight. J.B. Smoove (The Millers/Curb Your Enthusiasm/'Til Death) - J.B. stops by Conan at 11pm on TBS. Melissa McCarthy (Mike & Molly/Samantha Who?) - Melissa visits LIVE! with Kelly and Michael, so check your listings. Stacey Dash (Clueless) - Stacey shares her views on fair wages for women and reveals her man crush on a repeat of The Meredith Vieira Show, so check your local listings. Wendie Malick (Hot in Cleveland/Just Shoot Me!) and Jane Leeves (Hot in Cleveland/Frasier) - Wendie and Jane are guests on a repeat of The Queen Latifah Show, so check your local listings. Sherri Shepherd (Less Than Perfect/Sherri) - Sherri appears on a repeat of The Queen Latifah Show, so check your local listings. Tahj Mowry (Baby Daddy/Smart Guy) - Tahj is a guest on a repeat of The Real, so check your local listings. 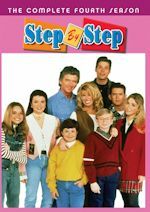 August Maturo (Girl Meets World) - August talks about his show Girl Meets World on Home & Family on Hallmark Channel at 10am ET/PT. 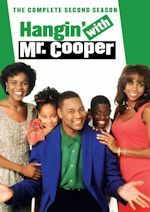 Anthony Anderson (black-ish/Guys with Kids/All About the Andersons) - Anthony appears on a repeat of Rachael Ray, so check your local listings. Lily Tomlin (Grace and Frankie/Malibu Country) - Lily talks about Grandma on ABC's Good Morning America sometime between 7-9am. Topher Grace (That '70s Show) - Catch Topher on Jimmy Kimmel Live! at 11:35pm on ABC. Lily Tomlin (Grace and Frankie/Malibu Country) - Lily drops by Jimmy Kimmel Live! at 11:35pm on ABC. Natasha Leggero (Another Period/Free Agents) - Natasha is a guest on @midnight on Comedy Central at midnight. Minnie Driver (About a Boy) - Minnie appears on a repeat of The Ellen DeGeneres Show, so check your local listings. Eve (Eve) - Eve dishes on her wedding, life abroad and more on a repeat of The Meredith Vieira Show, so check your local listings. Alyssa Milano (Who's the Boss?/Romantically Challenged) - Alyssa appears on a repeat of The Queen Latifah Show, so check your local listings. Troy Garity (Ballers) - Troy shares behind-the-scenes stories from Ballers on Home & Family on Hallmark Channel at 10am ET/PT. Tony Hale (Veep/Arrested Development) - Tony talks about American Ultra on NBC's Today in the 9am hour, on New York Live on WNBC in New York at 12:30pm ET, and on the AOL Build Show. Anthony Anderson (black-ish/Guys with Kids/All About the Andersons) and Tracee Ellis Ross (black-ish/Girlfriends) - Anthony and Tracee are guests on a repeat of Steve Harvey, so check your local listings. Jake Johnson (New Girl) - Jake talks about Digging for Fire on NBC's Today in the 9am hour. Tiffani Thiessen (Saved by the Bell/Saved by the Bell: The College Years) - Tiffani is a guest on People Now. Patrick Stewart (Blunt Talk) - Patrick appears on CBS This Morning sometime between 7-9am. Connie Britton (Spin City/The Fighting Fitzgeralds/Lost at Home) - Watch Connie on a repeat of Late Night with Seth Meyers at 12:36am on NBC. She will also be on Larry King Now at 2/5pm PT/ET on Ora.tv and Hulu. Rebel Wilson (Super Fun Night) - Rebel stops by LIVE! with Kelly and Michael, so check your listings. Vivica A. Fox (True Jackson, VP/Out All Night) - Vivica reveals why she fired herself from the hit reality show, on Kenya-gate and whom she believes was the love of her life on a repeat of The Meredith Vieira Show, so check your local listings. 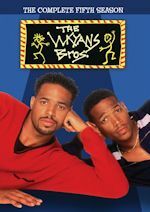 Marlon Wayans (The Wayans Bros.) - Marlon is a guest on a repeat of The Talk on CBS at 2pm ET/1pm CT-PT. 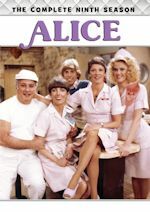 Lily Tomlin (Grace and Frankie/Malibu Country) - Lily appears on a repeat of Rachael Ray, so check your local listings. Tituss Burgess (Unbreakable Kimmy Schmidt/30 Rock) - Tituss is a guest on the AOL Build Show. Jake Johnson (New Girl) - Jake appears on the AOL Build Show, on People Now, and on Good Day New York on WNYW-Fox5 in New York sometime between 7-10am..
Sherri Shepherd (Less Than Perfect/Sherri) - Sherri chats on Ice & Coco on select Fox-owned stations, so check your local listings. Danica McKellar (The Wonder Years) - Danica is a guest on Access Hollywood Live, so check your local listings. Tony Hale (Veep/Arrested Development) - Tony will be on Morning Joe on MSNBC sometime between 6-9am and on Good Day New York on WNYW-Fox5 in New York sometime between 7-10am.